Do you have broken, worn out, infected, or missing teeth? Why not restore your smile to optimal health and function again? A comprehensive menu of restorative dental services are available for your convenience, in your local family-friendly dental practice. At Bloor West Smiles, you’ll find a dentist who can perform your restoration with finesse to create extraordinary results, thanks to over 20 years of experience serving families like yours throughout Toronto. When your dental x-rays show a cavity or cracked tooth, you need to correct it quickly before it worsens. During the procedure, our Bloor West Village dentist will clean and fill the areas of tooth decay, preserving your teeth. Plus, the composite filling is specifically matched to your enamel colour, so your smile will look naturally beautiful! A constant toothache that makes it hard to chew, may mean you need a root canal. Watch for signs of abscesses near your gums. Don’t be anxious, though: the technology and techniques available today mean that your root canal doesn’t have to be painful or take a long time to complete! Experience the gentle touch with an experienced dentist who can help you save your tooth. Gaps in your smile are more than a cosmetic problem. One missing tooth can mean the loss of support and bone surrounding your neighbouring teeth. The situation can even change your bite, speech, and affect your diet. 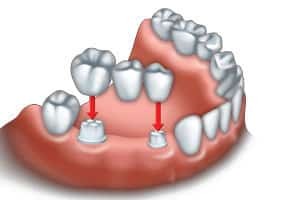 Thankfully, you can easily fill in the gap with a dental bridge. 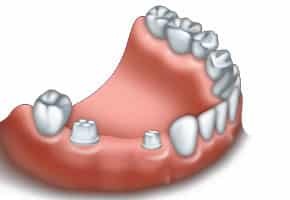 Your bridge is made of either porcelain or resin and is affixed to the teeth on either side of the open gap in your smile. It can preserve your bite, tooth alignment, and may even enhance your smile’s appearance! side of the missing tooth are prepared for crowns. fused to 2 crowns. This is called a bridge. 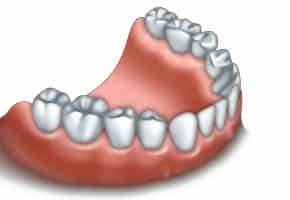 If you have lost several or all your teeth, it may be time to opt for a full or partial denture. Not only will dentures help you have better nutrition and maintain your periodontal health, they will also help you to look younger by supporting your facial muscles. You can feel confident in rejuvenating your smile with our dentist that has over 20 years of experience. Restorative Dentist Bloor West Welcomes You. Contact Bloor West Smiles Today for a Free Consultation Regarding All Your Family Dental Needs!